Indoor greenhouses are the perfect solutions for gardeners who want to grow plants and vegetations that are not in season and even those that are supposed to grow only in some parts of the world, at a limited space. This is because indoor greenhouses allow you to control the conditions inside the room and even mimic weathers and temperatures that are different from actual conditions. So for all you green thumbs out there, here are some of the most basic things that you need to know about constructing an indoor greenhouse today. First off, you actually have two choices for indoor greenhouse construction. One, you can opt to buy a kit where all the necessary materials and instructions are already found inside. All you need to do here is follow the steps as your construct. For the more adventurous ones, you can make the structure from scratch on your own. Not to worry because do-it-yourself indoor greenhouse projects are very doable and a lot of people have tried them and succeeded. The next concern would be the location. 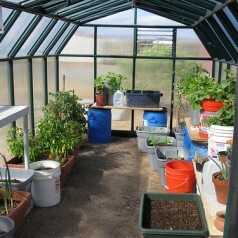 Greenhouses will require space but for the indoor types, a few square feet will do. 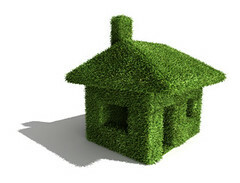 What is most important is that your plants get sufficient sunlight. 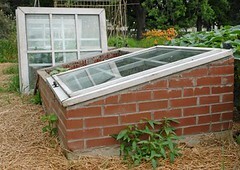 You can put your indoor greenhouse in your patio or in your balcony. Indoor greenhouses can be made out of various kinds of materials – from glass, fiberglass and even polyurethane. The advantage of using glass is that they are very transparent and can give your plants the sufficient amount of sunlight that they need. The downside to this is that they are very easy to heat up during hot days. But then again, this can be easily remedied with a good ventilation system. 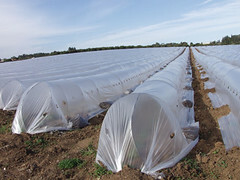 Glass is most popularly used for short growing seasons such as planting during late winter or early spring. 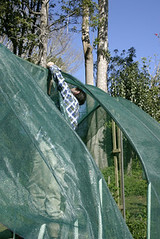 For the polyurethane, they are preferred by some gardeners because they are very cheap and accessible. The downside to this is that they are not very transparent to light and thus, are not very good for planting early in the season where light intensity is not that high. Fiberglass on the other hand, is more stable than polyurethane but still, transparency is less, just like the latter. For those who do not have a patio or a balcony, then do not worry because you can always set up the greenhouse elsewhere inside the house. What you need here is an artificial source of light to make up for the loss of natural light. But be very careful and monitor the light intensity as much as you can. This will depend on the kind of plant that you are growing. Too much light intensity can stunt the growth of certain plant species so try to follow light requirements as strictly as possible. Another technique that you can use for growing plants in indoor greenhouses is hydroponics. 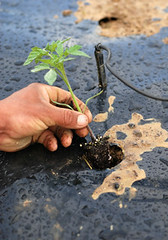 Hydroponics makes use of water infused with essential nutrients and minerals in place of soil. So never limit your dreams of owning a greenhouse to large open spaces. With indoor greenhouses, it is possible to grow your favorite plants and exotic vegetations the whole year through and inside your own homes. Whitney is an expert in hobby greenhouse construction plans and at giving advice for those looking to get into indoor greenhouse gardening and other garden activities.